EICS 2013 will focus on engineering usable and effective computing systems in areas such as medical devices, mobile phone applications and games. City University London will host the fifth Engineering Interactive Computing Systems symposium (EICS 2013) from 24th-27th June. EICS 2013 is devoted to methods, techniques, and tools for designing and developing usable and effective interactive computing systems. It is sponsored by Springer UK and the Association of Computing Machinery's (ACM) special interest group on Computer Human Interaction, SIGCHI. The topics examined will include multi-device interactive systems, new and emerging modalities (e.g. gesture), entertaining applications (e.g. mobile and ubiquitous games), safety critical systems (e.g. medical devices) and design and development methods (e.g. extreme programming). The symposium will also bring together people who study or practice the engineering of interactive systems, drawing from diverse fields such as Human Computer interaction, Software Engineering, Requirements Engineering, Ubiquitous and Pervasive Systems, and Game Development. Stephanie Wilson, Reader in the Centre for Human Computer Interaction Design, will chair the session on 'Gesture, multi-touch, tangibles and speech' on 26 June. "City has over the years become a major centre for teaching and research in Human Computer Interaction Design. Our capacity to host EICS 2013 is an acknowledgement of our international recognition in this field of study by prestigious academic organisations such as the Association of Computing Machinery". 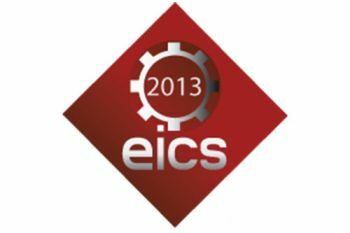 For further information on EICS 2013 click here.